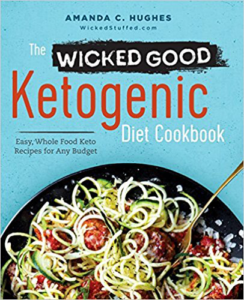 I find the keto diet to be pretty fun, and buying keto gifts even more fun. I take every day as a challenge, whether it’s meeting a certain carb count, or making a new meal, or discovering a new keto-friendly treat I love. 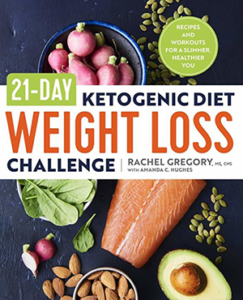 If you’re shopping for someone who’s eating ketogenically (that is, less than 20 net carbs per day), you can bet they’ll love ANY of these keto gifts and they’ll be grateful for your thoughtfulness as they tearfully toss out all the candies and cookies they receive over the holidays. Keto Krate – I subscribe to this box, and Keto Delivered (below) and like them equally. Keto Krate is more snack-based. It usually comes with snacks that are easy to carry with you like protein bars, beef jerky, and “sweet” treats. Any keto-er who commutes would love this box because eating ketogenically usually involves a lot of cooking and it’s SO nice when you can find a prepared snack or meal that isn’t carby. Cost: $40 per month. Keto Delivered – This monthly ketogenic subscription box I love for an entirely different reason and it’s because this box usually comes with great high-quality, small-batch crafted ketogenic treats like hot sauces, spices, coffee, brownie mixes and although they do throw in snacks as well, I subscribe because of the high-end, locally made products that are included. Cost: $45 for a month, or $120 for a 3-month subscription. The Keto Box – This monthly keto subscription box, like the others, comes with a bunch of different keto goodies. They send out 5-8 snacks per month, and from their unboxing videos they seem to be pretty generous with the goods. Cost: $40 per month. Note to all keto boxes who relentlessly keep sending this product: Stop trying to make flax crackers happen. Love, Amanda. Health Nut Jerky Box – I’d like to say you can’t go wrong with jerky, but there are plenty of jerkies out there loaded with sugar. This jerky box, which I have tried myself, is keto-friendly and has an excellent combo of flavors, plus a nice bonus: their Machacha. This is basically ground jerky that you can sprinkle on eggs, salads, or whatever you like. An excellent gift. Zoodler / Spiralizer – Zoodles are our spaghetti, so a good zoodler is a gift from the gods. They’re fantastic as the “noodles” in a chicken parmesan dish, or by themselves in a lemon butter mixture. I would say this Zoodle Maker is a cheap, simple zoodler, but if you’re looking to gift something more fancy, check out my recent zoodle maker review. NutriNinja – We do a lot of blending in single-serve containers when eating ketogenically. It’s basically the only way we ever get to have dessert, from keto pancakes to buttered coffee to mug cakes. Tinstar Foods Ghee – We do a lot of cooking with healthy fats and oils on keto, and while some people like coconut oil (another good gift), I like ghee, which is basically extremely clarified butter made from grass-fed cows. And there’s no better ghee out there than the brown butter ghee from Tin Star Foods. Herb Keeper – The Art and Cook herb keeper is another godsend because fresh herbs last a month or longer (usually I replace them before I even need to). Again, the small amount of water in the bottom has been keeping my rosemary, sage and thyme good to go every meal and I just love it. Plus, it’s made of glass and looks great in the refrigerator. 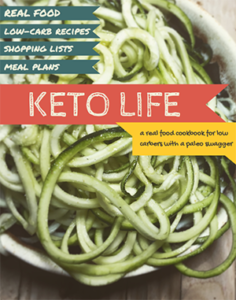 Foodsaver – On keto you tend to eat a lot more protein, so if your keto pal buys their meat in bulk, or at the butcher, this is useful for separating meat into portions you intend to cook with so they can go in the freezer. It’s also great for marinating foods, or saving leftovers for the freezer in a way that won’t give them freezer burn. Cast Iron Pan – Cast iron makes the best steaks, so I have quite a few of them. But don’t forget to read up on cast iron care and get a silicone handle if it doesn’t come with one, plus some cast iron conditioner. Keto gifts made of food are totally awesome, and if you choose to make a gift basket of snacks, you’ll warm the heart of any keto-er! Here are some ideas. If you’re a keto friend, I’d love for you to add your favorite keto gifts in the comments so that any thoughtful gift shoppers will have all the ideas at their disposal! My boyfriend loves Moon Cheese and Whisps, so that’s all I filled his stocking with. You can make essentially the same thing yourself, but they’re nice to grab and go if you haven’t made cheese crisps recently.